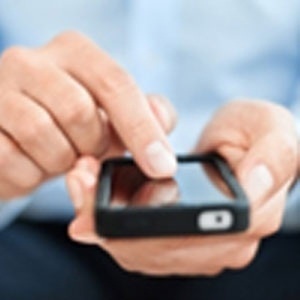 Johannesburg - Cellphone companies will now be required to provide customers with an option to rollover unused data, as part of a set of new regulations announced Thursday by the Independent Communications Authority of South Africa (Icasa). The regulations are seen as victory for millions of consumers who have for years been battling disappearing data and automatic out-of-bundle pricing. The End-User and Subscriber Service Charter is expected to change the way mobile phone customers conduct business and ensure optimum use of data communication by customers. The regulations to be gazetted next week require companies to notify subscribers when their data falls below 50%, 80% and 100% depletion levels, to rollover unused data, allow transfer of data and prohibit service providers to charge out of bundle charges without the customer consent. "The regulations are in the public interest and will help users make informed decisions on how best to make use of their mobile communication, particularly users who are on pre-paid packages," said Icasa CEO Willington Ngwepe. ICASA said all mobile phone service provider would be "required to provide an option to consumers to rollover unused data, to ensure that consumers do not lose unused data as is the current practice." Data bundles provided most network providers is usually valid for 30-days after purchase. Icasa said data expiry and out-of- bundle rules were "perceived to be prejudicial to consumers, particularly the poor." Companies would be given 30-days to comply with the rules once the regulations have been gazetted. The regulatory body stated that the charter does not seek to directly or indirectly regulate costs, but improve regulations around data, SMS and voice services. The regulations came after extensive consultations with the public, on the back of a huge public outcry over disappearing data. "After the regulations are published, service providers will be given a month to comply," said Ngwepe. According to ICASA, the draft regulations proposed that prepaid data bundles should have a minimum expiry period of three years, in line with section 63 of the Consumer Protection Act. Another challenge faced by South African mobile phone users is the high cost of data, which in 2016 sparked the popular #DataMustFall campaign.